Aesthetic prosthesis – Dental Clinic "FREEDENTS"
Aesthetic prosthesis is a modern and effective way to restore healthy dentition in the absence of one or more teeth. Prosthetics-it’s a complex procedure. The main challenge facing the doctor is to choose the design of the prosthesis, which not only can replace missing teeth, but will also keep available. We want to draw attention to the fact that the prosthetics have to do in a timely manner, do not hesitate to “pigeonhole” and leaving for a long time, because the absence of teeth already leads to unwholesome food razzhevyvaniju, and as a consequence of disruption of chewing, and, consequently, violation of the stomach and intestines. 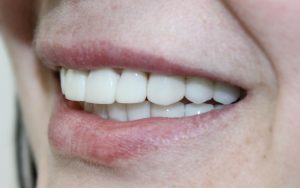 Prosthetics will help eliminate such trouble maintaining your smile beautiful and vibrant health. Orthopaedic treatment helps to fully recreate all functional and aesthetic denture options and deals with problems related to partial or total loss of teeth. Thanks to the rapid development of modern technology, today we offer our patients a wide choice of options restore partially or completely lost teeth. There is nothing impossible for us, and even in the most difficult cases, we can offer you highly professional dental care and guaranteed results. 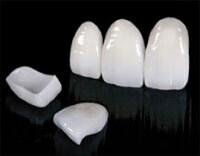 Aesthetic Prosthesis is widely used nowadays. 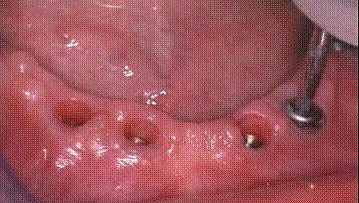 Before replacement will definitely carry out sanitation of the oral cavity. Our specialists will carry out high-quality prosthetics, and if there are indications, painless removal of severely destroyed teeth. In our Center are highly qualified specialists, who have excellent training in the field of contemporary aesthetic prosthesis. A high level of staff training, individual and team approach to each patient, the use of modern technologies of esthetic prosthetics gives an excellent result of work and excellent treatment results. In our Dental Centre has its own dental laboratory. Available at our Center Lab allows you to provide an individual approach to every job, because You cannot simulate teeth is the same for all. A dental technician is not abstract works, without seeing the patient, and in close contact with the doctor, taking into account his wishes, personality, age and gender, because You can change the image and emphasize personal qualities of the person. Between all aspects of aesthetics has a relationship, especially between the individual and the aesthetics of the face, teeth and lips. For this we help previously made models of occlusion or photos where the patient smiles. Application of dental technicians of the microscope and the modern equipment of our dental laboratory allows us to produce highly esthetical ceramic, ceramic-metal and other high precision design. Our machinery constantly improve their qualifications and obtain new knowledge by attending specialized courses, seminars and master-classes, thanks to which the works are carried out professionally and efficiently. clasp prostheses is a type of removable prosthesis. The basis of bugel prosthesis is a cel’nolitoj metal frame. In the absence of a large number of teeth when there is no possibility to make bridges and implants for different reasons not acceptable, clasp prosthesis is the optimum choice. Chewing load in the presence of partial denture in the mouth are distributed partly to the remaining teeth, gum in the area of missing teeth. 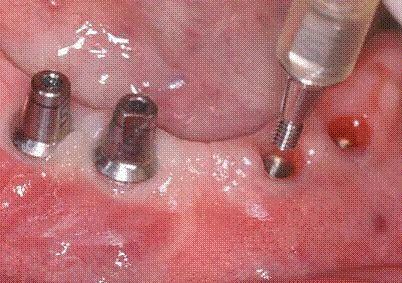 Prosthetics on implants-placement of prosthetic designs on artificial root (graft), so that you do not grind down healthy teeth under support in the absence of one tooth and make non-removable prosthesis in the absence of a large number of teeth using several implants. The following photos show the clinical case-based prosthetic implants. Photo 1. Implants are installed and installed shapers gums. Photo 2. Appearance implants with abatmentami. Photo 3. The appearance of the finished metal-ceramic constructions in the oral cavity based on 6-TI implants.